What is Taurine? Taurine is an essential amino acid that the body needs to maintain optimal health and function. How does Taurine support health? Supports memory. Promotes healthy energy levels. Aids in immune system function. Supports central nervous system function and emotional health. Taurine is an essential amino acid that the body needs to maintain optimal health and function. 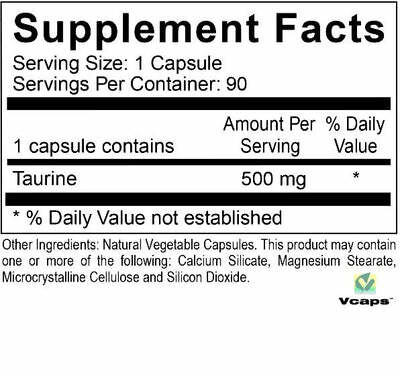 How does Taurine support health? Aids in immune system function. Supports central nervous system function and emotional health.